What an amazing day! As I drove to Baptist all I could was pray. This amazing couple wanted nothing more in life but to be blessed by God with a healthy baby. They have had their share of heartache and all I could think was Please God, let this be Their day! 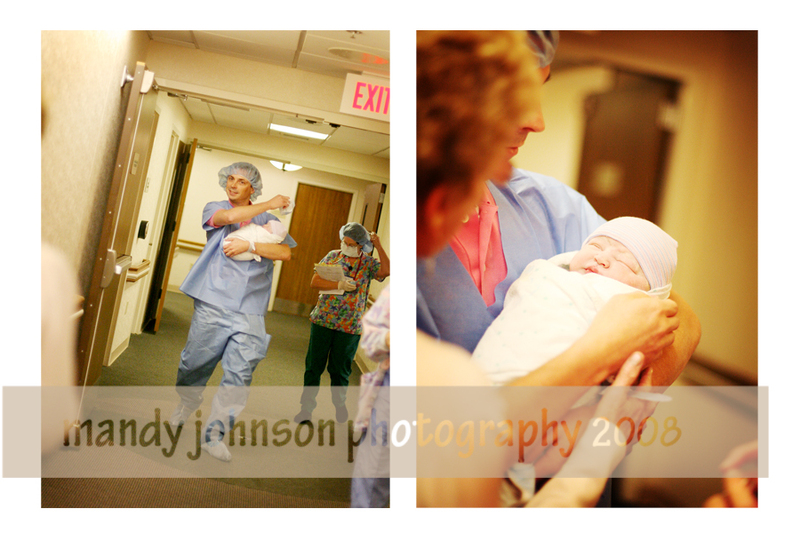 As I arrived this is what I saw, beautiful mom being rolled out for her csection. They were estimating a large baby girl so off she went. We prayed some more and waited. Waited. Then we saw the best sight in the world. A new proud Dad with a bundle of Godly preciousness (is that a word?) Tears flowed and joy was everywhere! A proud grandma, aunt and friends rushed to see Miss Grace!! Could there be a better moment in life? Our God is Amazing! A healthy 9lb 5oz baby girl was here! Look at those cheeks! We all followed dad and Grace to the nursery and stared in the window like a bunch of crazy women! I wish they had a camera on the other side filming all of the stalkers in the hallway!! Dad couldnt get the smile off of his face and his hands off of lil angel gir! What a amazing priceless moment! As mom recouped minutes felt like hours as she waited to see her miracle girl! As dad rolled her in she just started crying and saying “i love her, i love her” Me as a new friend and their photographer cried like she was my own. I can never express how touching today was just for me. God was all around and you could feel his presence. This lil girl will be so loved and will know that her parents were blessed this day and will forever be grateful! 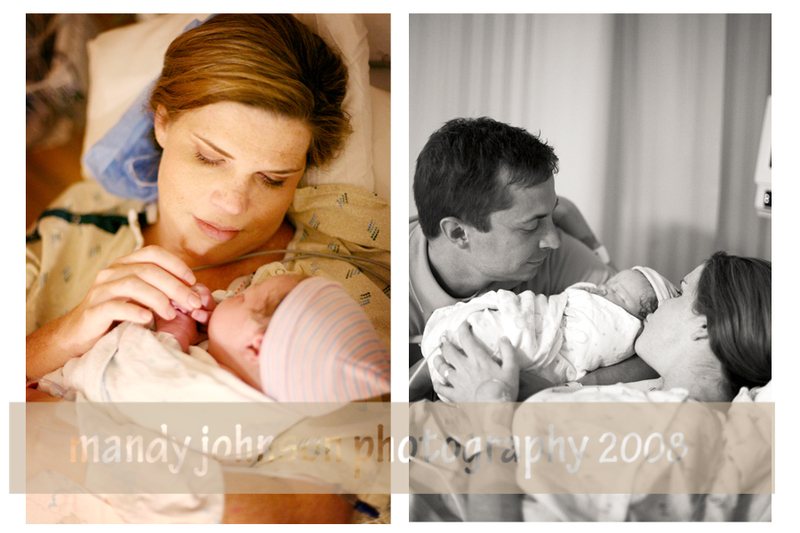 These images are the first time mom saw her and their first picture as a new family! I think this image speaks for itself! Thank you for allowing me to witness this amazing gift and wonderful day. 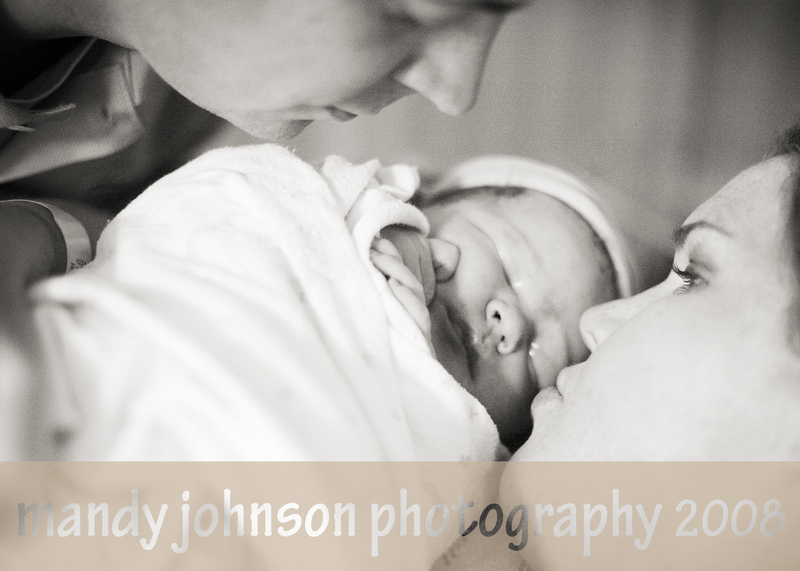 I already love Miss Grace and cant wait to get my hands on her for her newborn pictures. How much fun we will have. How Precious! I am crying and I don’t even know these beautiful people:) I know, I know I am hormonal. Simply beautiful & amazing. Wow!! God is amazing! We should all take time to thank him for our many blessings in life. Thanks for sharing such a touching story. Amy and I have been friends from the age of thirteen. My cup runith over when I saw these pictures. There is not a person who has met Amy who does not love her in a moment. From two girls in middle school to two moms. God is great! Amy, she is beautiful, and the pictures are beautiful. I love you and hope to see both of you soon.